Officers of the Crowley Police Department responded to a call of shots fired in the early morning hours of Monday, March 4, 2019 that injured a juvenile victim. 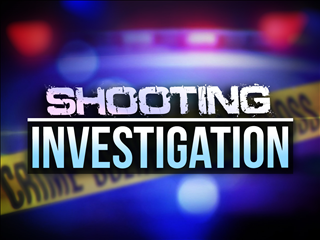 Upon arrival, officers located a number of casings in front of the residence, a bullet hole in the vehicle located under the carport, a second bullet hole located in the door of the garage. The second bullet traveled through the residence, striking a juvenile victim who was sitting on the couch. The juvenile was transported to Acadia General Hospital with very minor injuries. Chief Jimmy Broussard commented that they are not sure at the present if it was gang or drug related. Investigators were on scene to process the scene and are looking for any further information. Anyone with information is encouraged to call either Crowley Police at 783-1234 or Crime Stoppers of Acadia Parish at 789-TIPS.